Arthur Young resigned as Chief Constable of the Royal Ulster Constabulary (RUC). He had announced his decision to resign on 23 September 1970. He returned to his former role as Commissioner of the City of London Police. He was succeeded by the deputy Chief Constable, Graham Shillington. William Whitelaw, then Secretary of State for Northern Ireland, gave details of the agreement on the Executive to the House of Commons at Westminster. A Catholic civilian and a Protestant civilian were shot dead by Loyalist paramilitaries at Clifton Street, Belfast. Loyalists also shot dead a Catholic civilian on the Hightown Road, near Belfast. Two Protestant civilians were killed at their workplace on Crumlin Road, Belfast, by members of the Irish Republican Army (IRA). Loyalist ‘Day of Action’ Ian Paisley, then leader of the Democratic Unionist Party (DUP), organised a Loyalist ‘Day of Action’ to protest at the British government’s policy on security in Northern Ireland. A series of rallies where held in Protestant areas of Northern Ireland and a number of businesses closed. Unionist Rally Against AIA There was a huge Unionist rally, estimated at over 100,000 people, at Belfast City Hall to protest against the Anglo-Irish Agreement (AIA). An amendment bill on extradition was published in the Republic of Ireland. The amendment required prima-facie evidence of a case before someone could be extradited from the Republic of Ireland. A Catholic civilian, and his granddaughter, were killed in an attack on the RUC basee in Benburb, County Armagh. The British Army (BA) withdrew 150 soldiers who had been assigned to guard the Maze Prison. Sinn Féin (SF) held a special conference in Athboy, County Meath, Repubic of Ireland. The main topic of discussion was the peace process. The media were not allowed to cover the event. An 18 year old man was injured in a ‘punishment’ shooting in Donegall Street, Belfast. Bertie Ahern, then Taoiseach (Irish Prime Minister), addressed the Fianna Fáil (FF) Ard Fheis and said that he believed a united Ireland was inevitable within 20 years. Ahern also called for an impartial police service in Northern Ireland. 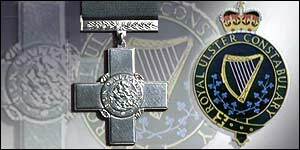 RUC Awarded the George Cross It was announced that the Royal Ulster Constabulary (RUC) was to be awarded the George Cross, Britain’s highest civilian award for gallantry. 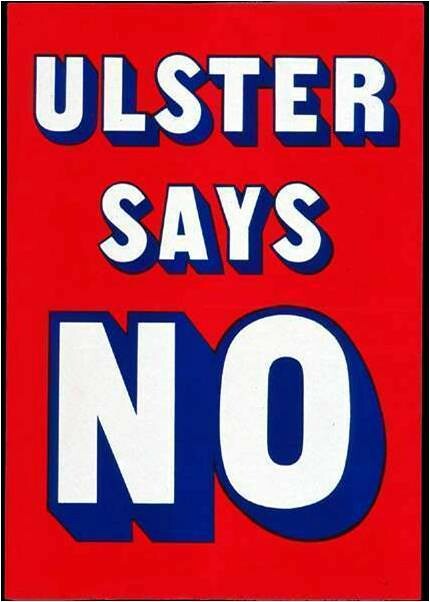 The British government rejected suggestions that the timing of the award was designed to placate Unionists and the RUC at a time when the force was facing major change. Ronnie Flanagan, then Chief Constable of the RUC, said it was a momentous day. Sinn Féin (SF) criticised the award. Peter Mandelson, then Secretary of State for Northern Ireland, and David Trimble, then leader of the Ulster Unionist Party (UUP), both addressed a meeting of UUP members in Edenderry Orange Hall in Portadown, County Armagh. Both men were heckled during the meeting. There were scuffles between anti-Agreement protestors and police outside the building. 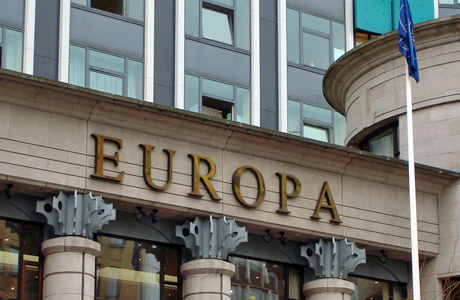 And abuse was shouted at Mandelson and Trimble as they entered and left the building. Bertie Ahern, then Taoiseach (Irish Prime Minister), made a statement to members of the Dáil that if any party ‘defaulted’ on its responsibilities under the Good Friday Agreement then the two governments would “step in and assume their responsibilities”. The Ulster Freedom Fighters (UFF), a cover name (pseudonym) used by the Ulster Defence Association (UDA), issued a statement saying that the leadership had decided to defer its decision on the appointment of an interlocutor to liaise with the Independent International Commission on Decommissioning (IICD) until after the Irish Republican Army (IRA) has met its commitments. From County Donegal. Died four days after being shot during sniper attack on nearby British Army (BA) patrol, while walking along Lifford Road, Strabane, County Tyrone. Shot at his workplace, Edenderry Filling Station, Crumlin Road, Belfast. Shot at her workplace, Edenderry Filling Station, Crumlin Road, Belfast. Shot at her workplace, Arkle Taxi Company, Clifton Street, Belfast. Shot while waiting for a taxi at Arkle Taxi Company, Clifton Street, Belfast. Businessman. Shot at his workplace, Crawford Square, Derry. Sinn Fein (SF) activist. Shot, shortly after leaving Department of Health and Social Services office, Church Road, Newtownabbey, County Antrim. Killed together with his granddaughter in van bomb attack on Benburb Royal Ulster Constabulary (RUC) base, County Tyrone. Inadequate warning given. Killed together with her grandfather in van bomb attack on Benburb Royal Ulster Constabulary (RUC) base, County Tyrone. Inadequate warning given.